The actual experience of sitting on the platform was surprisingly unstructured. We were far enough from the audience that people chatted to each other a good deal, often in low voices to avoid disturbing the proceedings. Everyone was provisioned with a water bottle and a program, and arranged into three long rows of seats facing the audience, behind the higher-ups. There was an amusing hierarchy of chairs, such that the Trustees had brown wooden chairs, while the faculty had white plastic ones. Longtime attendees seemed to have strong views on where to sit, and arranged themselves in the faculty marching lineup with an eye to ending up in their preferred seat. The front row had a better view, but were conversely more on display; whereas the back row was somewhat shaded from the harsh sun by a backdrop. Individuals’ seating strategies sometimes led them to depart from their place in the official lineup, which was supposed to be in rank order. In a sign of the times, a lot of faculty people were on their smartphones during the ceremony. Most people didn’t use their phones the entire time, but did consult them at least every few minutes. If you look carefully at the above picture, the professor with the pink hood has her phone out, possibly taking a photo of the audience. The ceremony had previously been represented to me as “the most required faculty event of the year,” and I received numerous emails over the course of the Spring semester reminding me that my presence was obligatory, informing me that absences had to be approved by the Dean, and so on. The reality was much more casual: no one seemed to keep track of who actually showed up or how they presented themselves. “Can’t you stand in a straight line?” the Dean shouted out to us mock-seriously as we stood in a ragged file to greet the students. 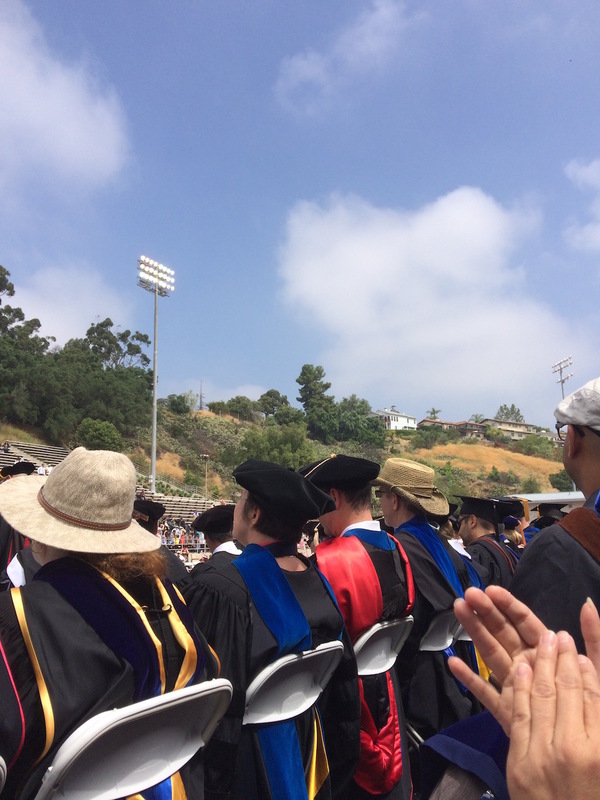 I also noticed that many faculty opted for sun hats rather than the official academic caps. As the phone usage suggests, not everyone was completely attentive the whole time. “Is it done?” I heard someone ask plaintively during the lengthy presentation of diplomas. 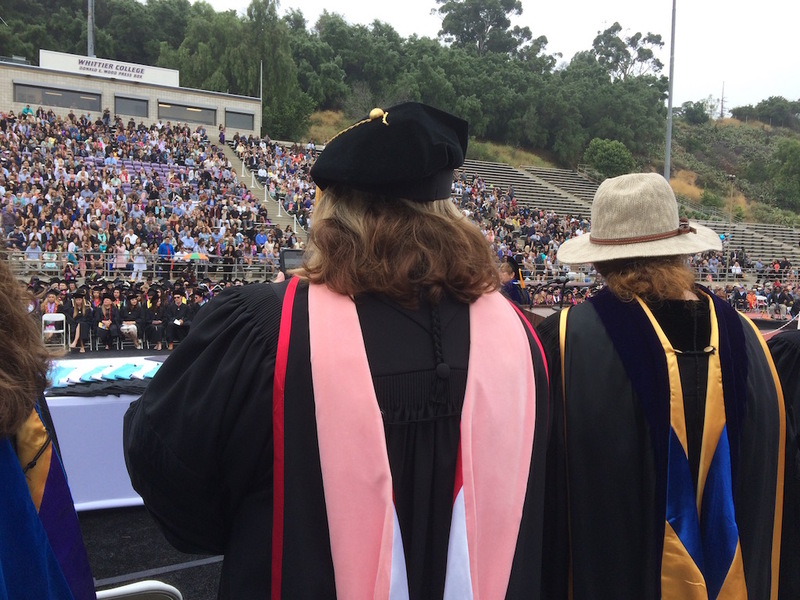 At the same time, though, many faculty carefully watched the graduating students going by, often clapping enthusiastically for students they knew personally. There was an obvious social hierarchy encoded in the amount of applause from the audience — the more popular students received more cheers (sometimes supported by their fraternities or sororities). Meanwhile, some relative “outcasts” (often male) received practically no applause. It struck me, watching the process, that the distribution of diplomas was a perfect icon of “education as pipeline.” Everyone has their place in the queue; they all go through the same physical motions; they all end up with the same ritual result (being socially recognized as graduates). Yet within this visual representation of the education pipeline, there was also this odd, evanescent moment of individuality. You get to have your name read out ritually to a huge audience. Some of the students strutted or struck poses for the audience. Others tripped or dropped their hats as they traversed the stage. This added a minor degree of drama. Meanwhile, the faculty on stage followed along by reading the alphabetical list of graduates in the program. Alas, a typo appeared over and over at the bottom of almost every page of the program, under the graduates’ names. “Academic Disctinction” somehow slipped past the copyeditor. This didn’t surprise me too much, because only a few days earlier, a sad email from the campus bookstore had apologized profusely for having stocked a t-shirt where “Whittier” was misspelled. At least one faculty person at graduation pointed out that this shirt would probably have become a collectors’ item if they had decided to keep selling it. There was in any event something poignant about having the graduation become, in effect, the “firing hall” for faculty whose contracts are up. One normally thinks of graduation as being about the departures of the students, but at places like Whittier where there are plenty of temporary faculty, it’s also a scene of the departure of precarious faculty. (Adjuncts aren’t required to attend, but visiting faculty and postdocs — everyone technically on the “faculty” list — do have to.) “It’s a lot of people’s last day,” one tenured faculty member told me. Behind every ritual, there’s a labor politics. 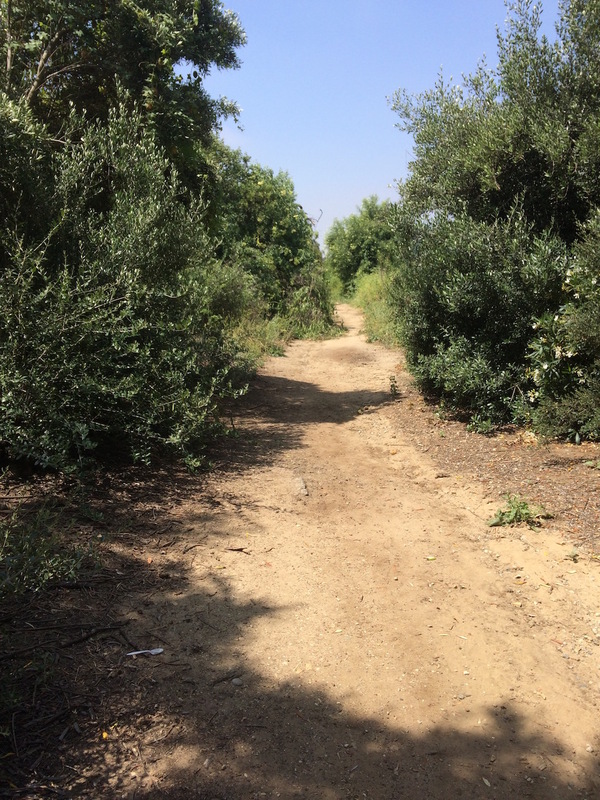 As I left the ceremony, I decided to walk home through the nature trail that goes uphill from the Whittier football stadium. 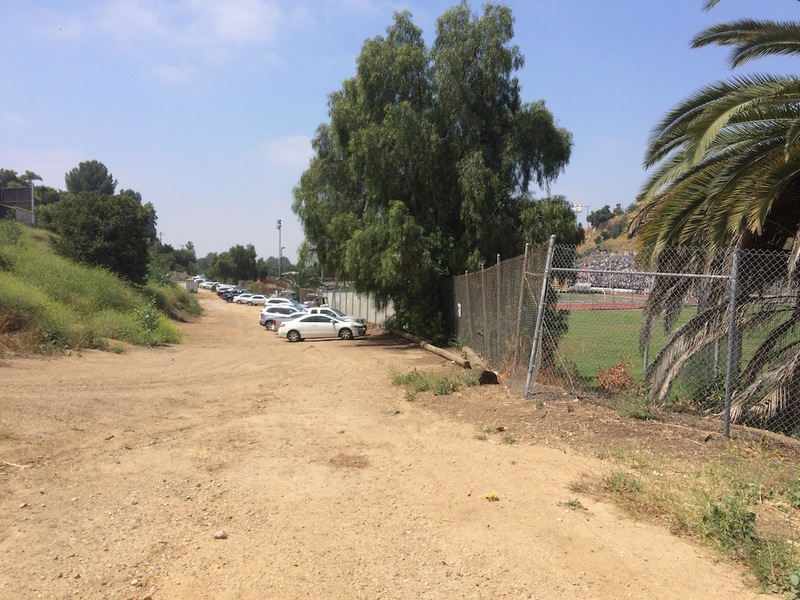 The parking lot rapidly dies down into dust; you can see the dots of the crowd through the fence at right. Even from among the leaves, you could still hear the brass band playing exit music.